Visit Acorn, Texas, for the German festival, a high school football game, homemade apple pie from the Turner Street Café, and the cool shade of a hundred-year-old oak tree. Meet dedicated teachers, shrewd business owners, closeted gays, and concerned neighbors. See how lives become intertwined in moments of humor or tragedy. Just be careful, because in Acorn, the sky is always falling. From romantic comedy to razor-sharp satire to moments of quiet reflection, these tales explore the humor, drama, secrets, and scandals of a small town. 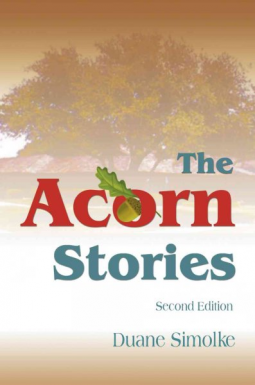 The Acorn Stories is a collection of short stories revolving around life in small town, Acorn, Texas. The book is full of quirky characters - Some likable and some, not so much. The stories cover a bit of everything that small town life entails, from the don't know what you've got til it's gone romance to the dedicated teacher to nosy neighbors, etc. The point is these people could be anywhere in any small town, including your own. Some stories grabbed my attention quicker than others and naturally, I enjoyed some more than others, but the book is certainly worth a read and each tale is a good length for taking your time through the book or binge reading the whole thing. The author has a unique writing style. It's rather succinct, without all the fluff and frills, and it did take me a bit to get comfortable with it, but once I did, I did enjoy the read.